Who are Westland’s Country Park? Westland’s Country Park is the latest addition to a series of Lodge parks and Holiday Parks spread across the Scottish Borders. 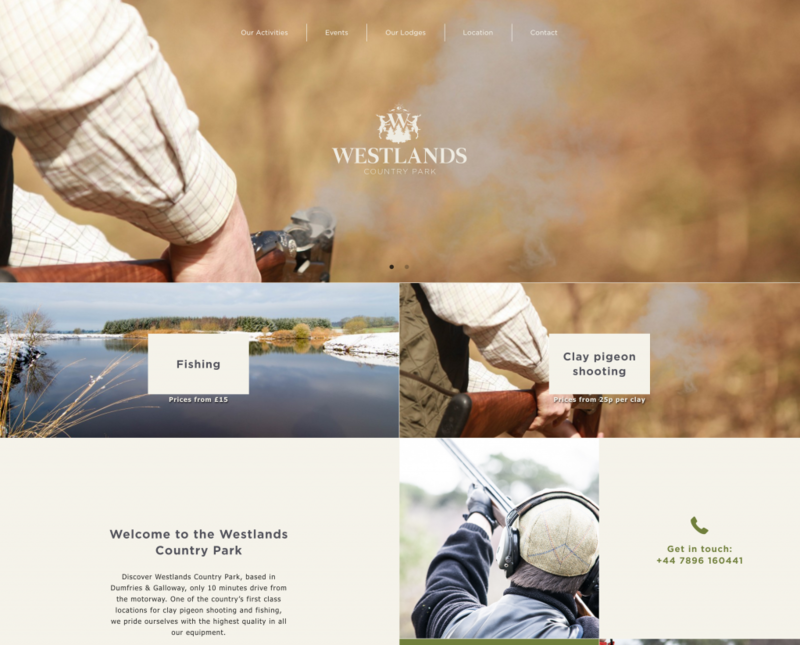 Part of the Border Caravan family, Westland’s has set up to be a prestige location for clay pigeon shooting and course fishing, along with the development of a series of lodges for sale / hire in their beautiful grounds. The site was formerly an activity centre for things such as paintball and go karting, however the challenge is to make sure that the new business is totally dissociated with the old one. This would allow the country park to really stand out and shine through as the prestigious and quality destination to visit in the area. This was a ground up project, starting with nothing, we tasked the design team at Split with the branding (logos, colours, brand guidelines etc) and website design. While we set on with building the core of the website. Using WordPress we built the admin area so that the Westland’s team could update and add content to the website themselves keeping future costs low. We added events and properties to the admin of WordPress so that events etc can be posted in the easiest of ways.